The original was collected ca. 1910 by Waldemar Jochelsen, and is now in the American Museum of Natural History. 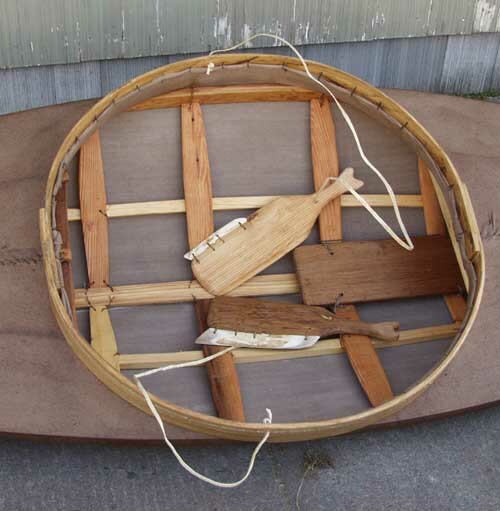 in the book "Eastern Arctic Kayaks" (2004:6, fig.1.1). 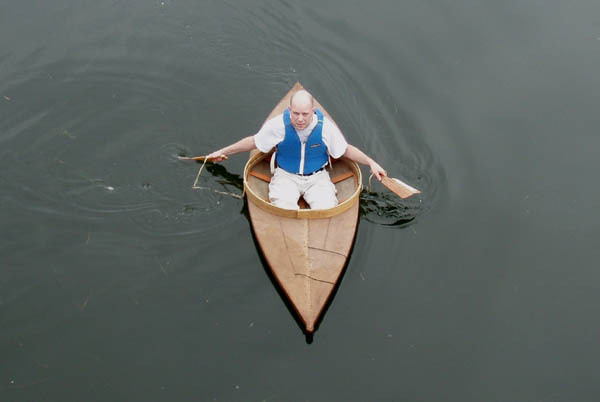 The kayak measures 9'2-1/2" long, 29-5/16" wide, and 6-7/8" depth-to-sheer. 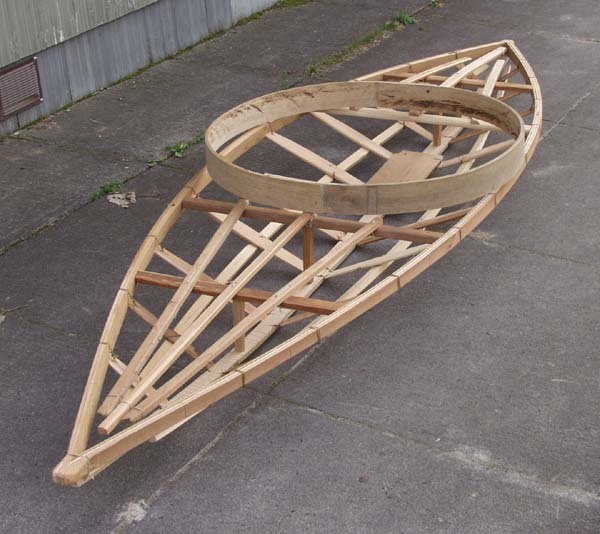 The lines of this kayak have also been published in "Kayaks of Alaska." 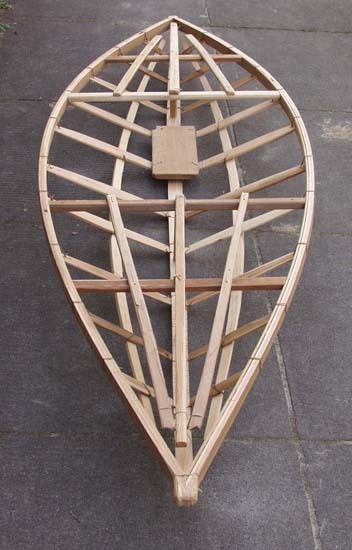 and are mortise and tenoned into the keelson. The hull's cross-section is a shallow V.
Two very different answers to the same question: How to catch sea mammals? 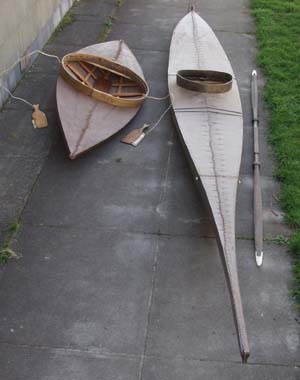 On the right is the replica of the 1830s Baffin Island kayak; Its paddle is 27"
longer than the Koryak kayak. 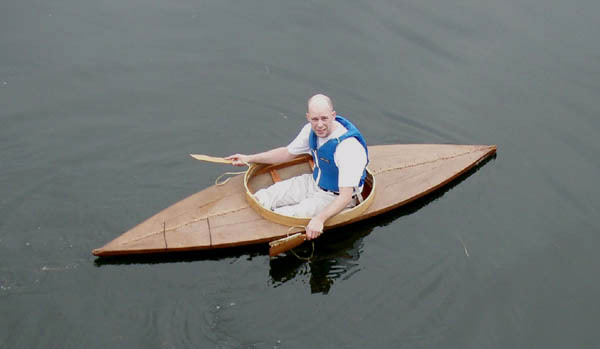 a 'high-performance coracle' of sorts. Above and below: Two views from an elevated position, Whidbey Island, March 2007.